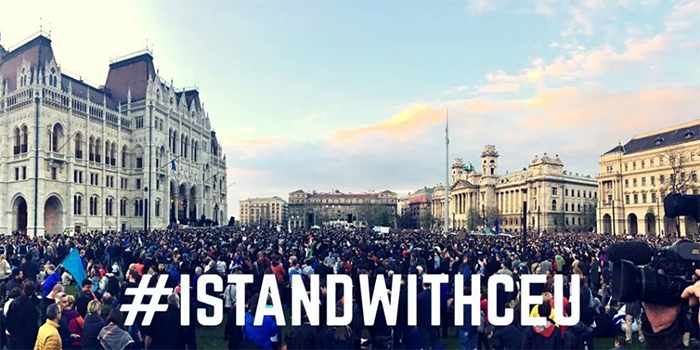 As a new law passed by Hungarian prime minister Viktor Orbán’s government threatens the existence of Central European University in Budapest, 70,000 people marched in protest in the capital to save it as part of the #IStandWithCEU campaign. Among those offering supportto protect the academic freedom of one of central Europe’s most prominent graduate universities, either by writing letters or demonstrating, include more than 20 Nobel Laureates including Mario Vargas Llosa, hundreds of academics worldwide, the European Commission, the UN, the governments of France and Germany, 11 US Senators, Noam Chomsky and Kofi Annan. Whilst the amendment, which will effectively force CEU to shut, has been signed into statute by Hungarian president Janos Ader, the university hopes to challenge the law in the Hungary’s Constitutional Court. Orsolya Lehotai, a masters student at CEU and one of the organisers of the street protest movement Freedom for Education, told Index that initially the small group of students had hoped to “mimic democratic society” and stop the law passing in its original form. Despite the protests and international criticism, the Hungarian government said that the law is designed to correct “irregularities” in the way some foreign institutions run campuses. Government officials maintain that the legislation is not politically motivated. “If you are an independent and well-funded American university – then you are not controlled, and you can easily be portrayed as a kind of enemy,” he added. Since its establishment in 1991, CEU has made no secret of its commitment to freedom of expression. It was founded by a group of intellectuals including George Soros, who has been much criticised by Orbán. The university was designed to reinforce democratic ideals in an area of the world just emerging from communist control. This ethos continues: in February the annual president’s lecture at CEU was given by the University of Oxford academic Timothy Garton Ash who spoke on the topic of “Free Speech and the Defense of an Open Society”. When the law comes into force, requirements for foreign higher education institutions to have a campus in their home country mean that it will be impossible for CEU to continue operating. Similarly, requiring a bilateral agreement between the government of the country involved, and the Hungarian government is a huge obstacle, as in CEU’s case this would be the USA but the US federal government has made it clear that it is not within their competence to negotiate this. Kubik, director of University College London’s School of Slavonic and Eastern European Studies, along with over a thousand other international academics, has strongly criticised the new legislation, and his department is holding a rally in London on April 26. He has also signed an open letter published in the Financial Times. He said: “Any governmental attempt to close down a university is always very troubling. An attack on a university in a country that has already been travelling on a path towards de-democratisation for a while is alarming. With the international condemnation of the Lex CEU amendment and a likely protracted legal battle ahead, what Kubik called “a magnificent institution of higher learning, as devoted to the freedom of intellectual inquiry and high ethical standards as any of the best universities in the world” is not expected to shut its doors this year. 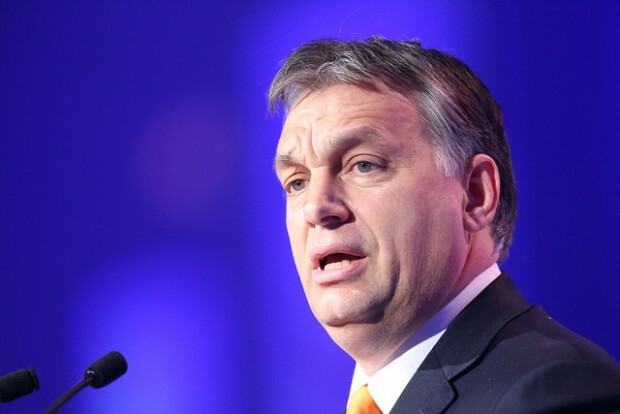 Meanwhile, those fighting for fundamental freedoms in Hungary will continue to challenge Orbán. European Commission vice president Frans Timmermans said, CEU has been a “pearl in the crown” of central Europe that he would “continue to fight for”, and for as long as global opinion remains so loudly behind CEU, Orbán will find it an institution difficult to silence.